And suddenly, I can not drag any "group" to another document! I tried: "ungroup layers, select all layers" and tried to drag again..... still doesn't work! If I pick just one layer, it works, but I need to drag a lot of layers, preferably in a group! Have you tried dragging them from the layers palette to the other document? Also, make sure the other document isn't set to indexed color. You probably have tried to restart the Mac? Hahaha... Really? This will be the 1st time!!! 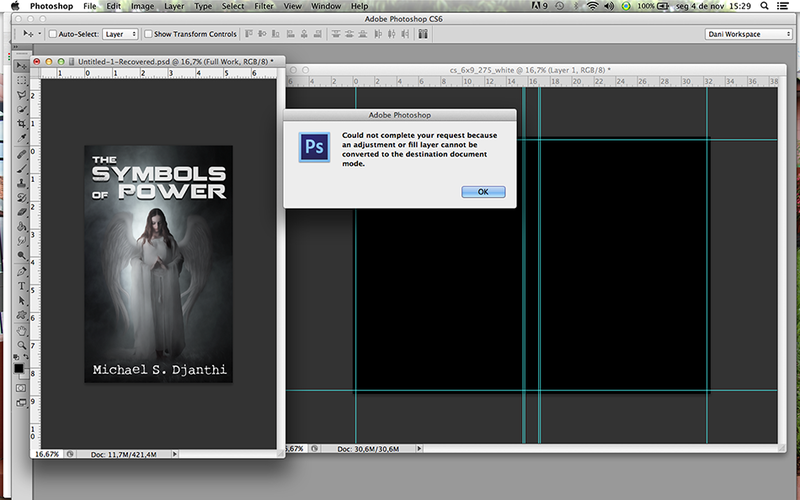 I restarted PS twice, but... good idea SH, I will restart Mac now! Guys thank you so much for your help, the problem persists, I don't know what to do but I need to go on with the job, so... I will drag layer by layer until fix this issue..... Creepy!! 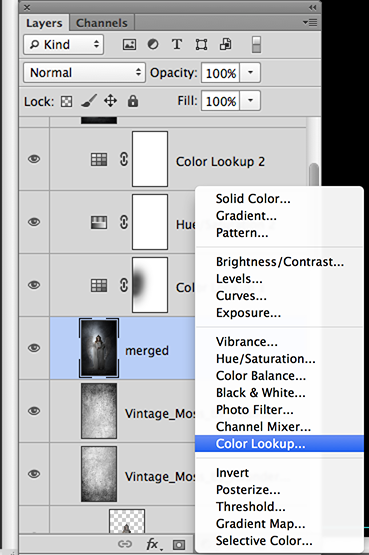 In PS CS6 has an Adjustment Layer called "Color LookUp", this is the only adjustment that CAN'T be dragged to another file. Solved the problem, I deleted both Color Lookup adjustments and drag the whole group to the new file!! Geez .... stupidity! But now you already know! Really, thank you so much Anfa and SH and sorry for bother you guys! Never ever heard about that before. Nice for you that you did find the answer. Yes after some hours of terror!!! I got CS6 almost for one year, I had never used this Adjustment. I was curious and tried it, liked two mixtures of colors that it gave me, but then the confusion happened!! Hahaha ... I will use again in my new document, the same that I had used before, but now I know it has some restrictions, and certainly should not open in earlier versions of PS. I thank you your tip SH! And now, can we have a sneak peek of what you're working on?